Bluetooth has become extremely popular over the years and headsets equipped with the technology are a must-have for Bluetooth enabled phones. Similar to wireless headsets in general, the widespread use of these headsets is attributed to the functionality and flexibility they offer when compared to standard corded headsets. When it comes to Bluetooth, you will find that there is a wide range to choose from with a variety of styles, feature sets and levels of compatibility. This is why selecting a device suited for your lifestyle should involve careful consideration. With so many options available, choosing a Bluetooth headset can be difficult and downright frustrating. Here is a little advice that should help you find a device that is just right. 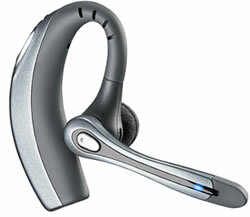 Some of the most popular Bluetooth headsets come equipped with a boom microphone that extends out towards your mouth. While the microphone’s location typically results in better audio quality, these type of headsets tend to be somewhat larger than the average. This is a situation that could prove beneficial in the office setting but disadvantageous for your Bluetooth-enabled mobile phone. Headsets without the boom microphone have become increasingly popular as well. In addition to the above options, you also have your behind-the-ear models along with the in-ear style that better assures isolation from background noise. 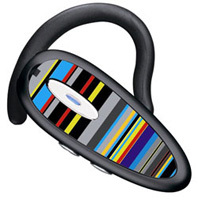 Some fit directly on the ear and require no ear loops or additional attachments. You should always compare a few styles to see what appeals and determine which is the most comfortable. Even though Bluetooth headsets integrate seamlessly with almost any other Bluetooth-enabled device, compatibility may still be an issue. There are many different versions of Bluetooth technology so this is something you should definitely take into consideration when trying to pair up devices. In the beginning, devices used version 1.1. In 2003 however, the Bluetooth SIG (Special Interest Group) introduced version 1.2 with version 2.0, the current standard, being released a year later. With Bluetooth 1.2 came enhanced security features as well as features that helped eliminate the issue of radio frequency interference from other wireless devices. Bluetooth 2.0 introduced faster connection speeds and energy-efficient features that reduced power consumption. Another notable improvement in the technology is the Advanced Audio Distribution Profile, more commonly referred to as stereo Bluetooth. This upgrade enables dual-channel audio streaming, a great benefit for those using Bluetooth with their MP3 player. Such a headset allows users to easily switch between their music and phone calls with the simple touch of a button. As a result of all this, Bluetooth technology is faster, more secure, energy conscious, compatible and capable of delivering high quality communications as a part of the standard. This entry was posted in Advice and tagged Bluetooth, bluetooth headset, bluetooth technology on 30/07/2014 by Craig.